Gold-plated guns, stealth submarines, and lavish mansions filled with piles of money: The world’s most powerful drug trafficker, Joaquín Guzmán Loera — better known as “El Chapo” — had all of those things. But his most valuable possession might have been a shovel. For the past few months, Guzmán has been on trial in New York City for more than 10 counts of criminal activity, including drug trafficking, money laundering, and weapons violations in the pursuit of violence. After months of hearing evidence, the jury will soon decide his fate and anything but a guilty verdict would be a shock. Throughout the trial, the evidence presented has painted a damning picture of the violent acts El Chapo committed as the leader of the Sinaloa cartel. But in addition to gruesome anecdotes, the evidence has also revealed one of the Mexican trafficker’s most important tools: tunnels. Agents inspect a tunnel in 2010 in Tijuana, Mexico, believed to have been built by the Sinaloa Cartel. El Chapo’s career spanned the past four decades, and his success has been defined by his subterranean inclinations. When the United States led a crackdown on Colombian drug trafficking routes in the late 1980s, El Chapo was in the right place at the right time, with the right idea. By building tunnels along the southern border of the United States, El Chapo gained an edge on his drug trafficking competitors that allowed him to claim new responsibilities as a supplier and distributor of drugs. 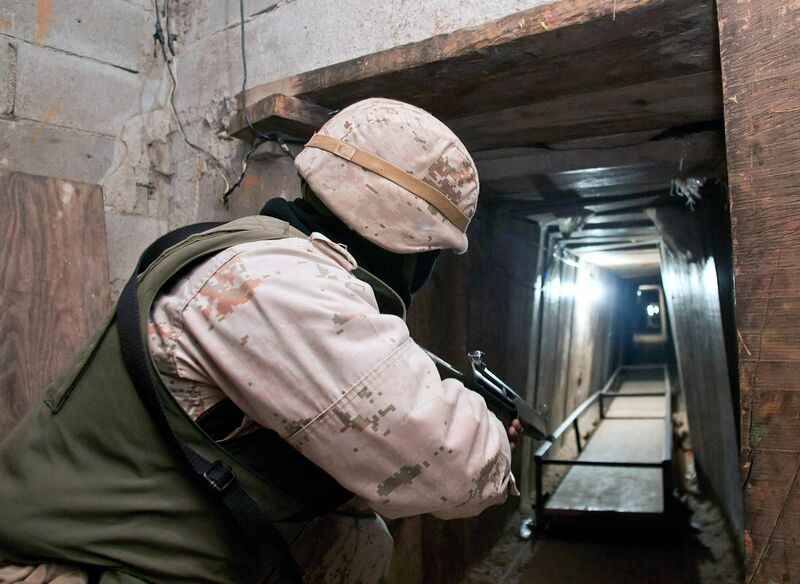 The tunnels’ effectiveness was the result of larger shifts taking place in the drug trade that increased narcotics trafficking through Mexico and decreased the supply of cocaine coming from Colombia. As this video explains, El Chapo learned to take advantage of the opportunity these shifts created, and tunnels became crucial to his success as the Sinaloa cartel’s leader. Over time, they evolved to include elevators, ventilation systems, rail systems, and other high-tech innovations that aided the swift transport of massive amounts of narcotics. But he wasn’t just using tunnels for drugs. By the time he was caught in 2015, El Chapo had learned to use them in many more “innovative” ways. Most famously, he used a nearly mile-long tunnel to escape from prison in 2014, a feat that is examined along with other examples in the video above.